Creating a Chatbot with paths for multiple languages takes just a couple of minutes and a little bit of planning. Create a new audience, and create a first filter. 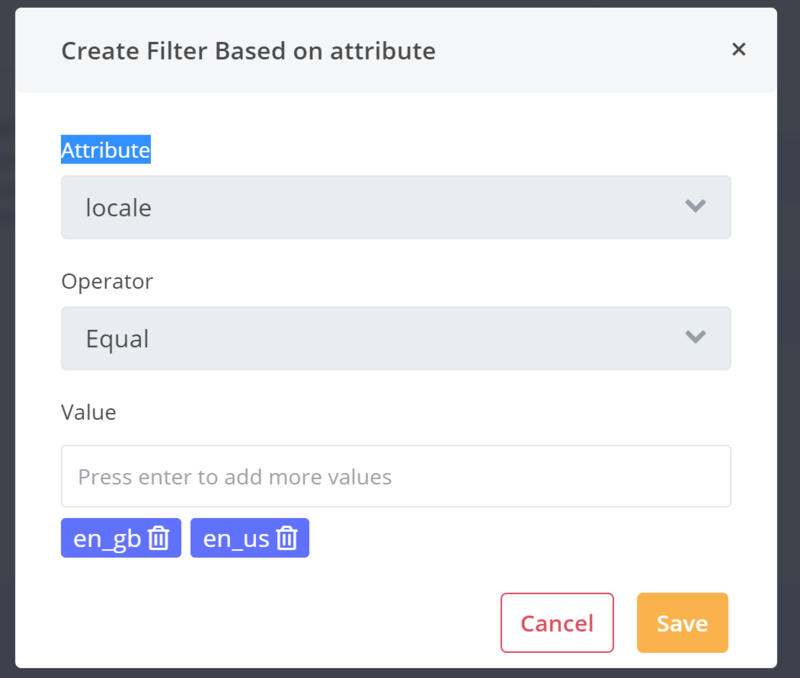 In the filter dialogue, choose the ...has attributes with certain values option. From the Attribute dropdown, choose locale and then find the correct locale in the Value dropdown. In the above example, I created a filter for English by choosing both English locales (US & GB). 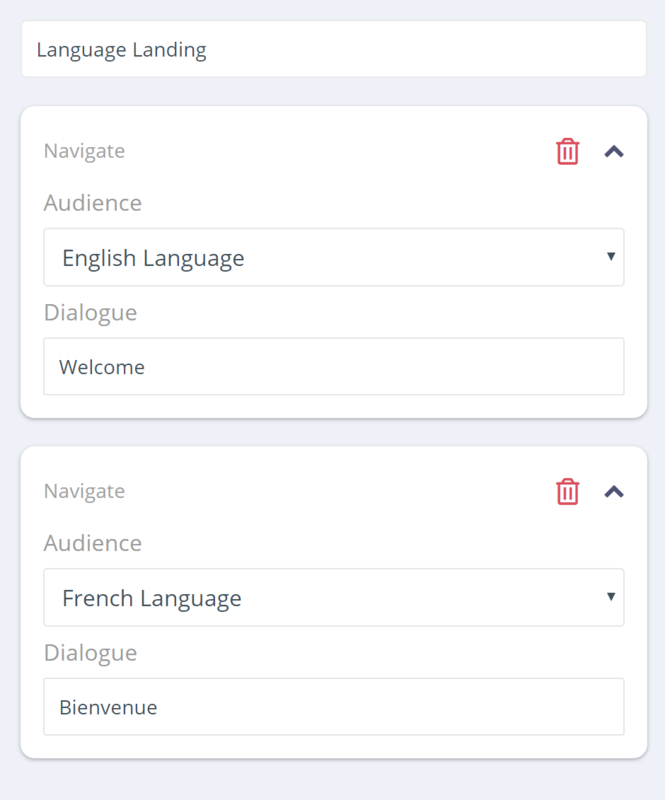 Create a Navigate widget for each language you plan to support on your Welcome Dialogue, or whichever dialogue is connected with your lead magnets. Each navigate widget should bring the users to a different series of dialogues depending on their language.